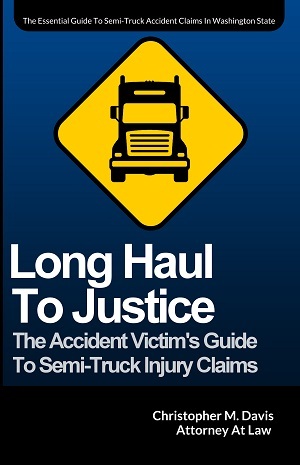 This video testimonial features Joe Crevling, a satisfied former client, who was injured after the semi-truck he was driving next to took a right-hand turn from the center lane of traffic with no warning at all. His car was then caught underneath the trailer and dragged for 75 feet. 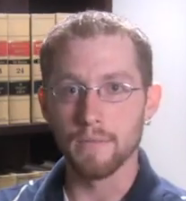 In the midst of dealing with the defense’s insurance company, he decided to get a truck accident lawyer. I was driving side-by-side with a semi-truck, and the semi-truck decided to take a right-hand turn from the center lane using no signals or no anything. And he turned right over—the trailer turned right over my car. And we were stuck underneath the semi-truck and it dragged us—the police report said it was about 75 feet—I swear it was longer. But he drug us all the way up over a curb, while my car is lodged underneath the back of the semi-truck trailer. I know bad lawyers, and I know good lawyers now, and I know how they’re supposed to act. I’m just sorry that I didn’t come to Chris sooner. When you walk into this office, you know you’re in the right hands, and I would—if I ever had this problem again or if I had a friend that had this problem, I would definitely, 100%, give Chris their—or give them Chris’s card, without a doubt. Without a doubt.